Changing lives through holistic nutrition, clinical excellence and the very latest in cutting-edge technology. For more information or to schedule an appointment with a Nacogdoches chiropractor well known in the community with over 20 years of practice experience, call (936) 560-2405 today! Dr. Scott Sims is a specialist with expertise in neuropathy and knee pain care serving Nacogdoches and the surrounding area. 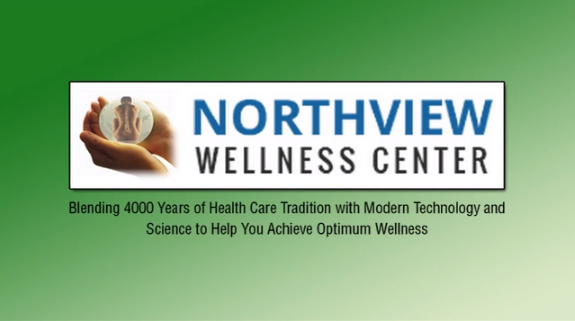 Our chiropractor and the rest of the welcoming team at Northview Wellness Center are committed to providing chiropractic solutions to address your unique needs, whether you are experiencing back pain, neck pain, headaches, or even muscular tightness and tension. You may be searching for pain relief after an accident, experiencing an injury, or if you suffer from a specific condition like chronic back pain or a spinal condition. Even if you are looking to improve your overall health, our chiropractor can help you attain your everyday wellness goals! We are a multi-service practice with neurological and nutritional focus. Visit our testimonials page to find out what our patients are saying about our Nacogdoches chiropractor and our chiropractic care plans. At your first visit to Northview Wellness Center, Dr. Scott Sims will explain how chiropractic care works and give you a full evaluation to see if our chiropractic solutions are a good fit to address your needs. If there is a good fit, we can customize a plan of chiropractic care for your condition and health goals. If you have not been to a chiropractor before and want to find out more, please email us or call (936) 560-2405 to receive the answers to your questions from our experienced team. We also welcome referrals, so we invite you to share our chiropractic and wellness information with your friends and loved ones. Northview Wellness Center is proud to be a certified Club Reduce facility. From an early age, Dr. Sims felt a calling to study the healing arts. He feels that it is his mission to help as many people as possible find help for their lost health where they previously have been unsuccessful or have not been able to achieve lasting results. Additionally, it is his desire to help those with good health to achieve their highest possible level of vitality and be purposeful contributors to community. Lisa Pack, having personal experience with chronic illness, sought out help from Dr. Sims as a patient. Regaining her health naturally spurred a desire to work in the healthcare field. She began working at Northview Wellness Center in 2014. Because of the great success with her own health, she has developed a passion for helping others make the necessary changes to live a life free from chronic pain and illness. She considers it a privilege to have witnessed and participated in the life-changing benefits of holistic care, and she desires the same for the residents of Nacogdoches and surrounding areas. Michelle Sims, business manager at Northview Wellness Center, works to ensure your experience is first rate, from your first phone call all the way through a personalized plan providing solutions to your health concerns. She believes that Northview Wellness Center is a place any person can find a successful path to better health reaching new levels of function and vitality. Marketing, community networking, and office system development are all a part of the job she performs each day to help share our vital message to the greater Nacogdoches community and looks forward to serving you in your pursuit of health. Haley Owens, a self-starter, began working at Northview Wellness in 2018. Helping patients feel their very best is her goal each day while in the office. Her sincere compassion and her sweet disposition let our patients know that Haley has genuine concern about their health. Patient care, front office, and marketing are all a part of Haley’s day at Northview Wellness. "We made the right decision coming to see Dr. Sims. Because of his knowledge and understanding our son is on the right path to health and wellness. Just within a few months he's made huge strides in bettering his quality of life. Dr. Sims has truly made a difference in our lives. Very friendly staff and comfortable environment. What a great experience!" "I absolutely love this place. It has helped me tremendously. Wish I had known about his practice sooner. The staff is awesome. Thanks a lot Dr. Sims and staff." "I am being treated for neuropathy in my feet and hands after the first couple of treatments my hands did not tingle anymore, still have numbness in my feet but not nearly as bad as it was in the beginning. The staff is great to."